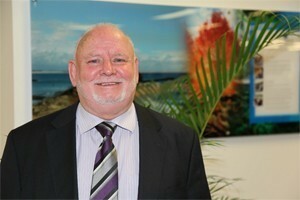 David Hogg is the managing director of Lifestyle Solutions. This week we profile David in Changemakers - a regular column which examines inspiring people and their careers in the Not for Profit sector. David Hogg is the managing director of Lifestyle Solutions. This week we profile David in Changemakers – a regular column which examines inspiring people and their careers in the Not for Profit sector. Lifestyle Solutions is a Not for Profit organisation founded in Newcastle in 2001 with a vision to provide person centred, flexible and responsive support services to people with disability. Over time, the organisation’s support has extended beyond disabilities to include a range of support services for children, young people and adults across Australia. In 2013, we find ourselves at an exciting crossroad of change and opportunity. The introduction of the National Disability Insurance Scheme (NDIS) and reforms in the Out of Home Care (OOHC) arena will challenge and inspire us to be the best we can possibly be for the people we support across Australia. Recently we developed our new Strategic Plan Moving Towards 2018. It is important for us as an organisation to be able to dream and have a vision to which we aspire and a Strategic Plan allows us to shape, monitor and measure our pursuit of that dream. I am very excited about our new plan as it demonstrates our commitment to continuous improvement and highlights our promise to truly embed our plan across all facets of our organisation. Our Strategic Plan comprises of four pillars: Provider of Choice, Employer of Choice, Business of Excellence and Leader in the Sector and Community. These statements depict what we, as an organisation, want to be known as by the people we support, their families and carers, our staff, the community, government, media and other stakeholders. I have worked in the community services sector for over 25 years, working in welfare, juvenile justice, youth work and disability. I moved to Newcastle in 1991 as the Founding Director of Hunter Mission. I enjoyed this journey and played a significant role in establishing and developing the work of Mission Australia in the Hunter and Northern Region of NSW. Just over eleven years ago I was joined by a few friends around my dining table and shared with them my dream to support people with disability by walking alongside them, embracing their dreams and sharing their vision. Just twelve months on, we made this dream a reality and created Lifestyle Solutions. With the exception of the birth of my three wonderful children, I think it would have to be starting Lifestyle Solutions. 2012 marked an enormous milestone for Lifestyle Solutions as we celebrated ten years of support. It has been an honour to lead Lifestyle Solutions through this amazing journey; to witness the organisation establish itself as a leading provider in the Human Services sector and positively impact so many lives. What started in Newcastle with one Group Home to support five individuals, has now become a national organisation that provides a range of support services for children, young people and adults across Australia. Another achievement I am very proud of is the creation of the Blackstump Festival. In 1985 as part of International Year of Youth, I had a vision for a Christian Music, Arts and Teaching Festival. Blackstump is still going and in October this year will celebrate its 28th year of operation and its 25th festival for the community. As dedicated individuals working together, we have achieved great things. At Lifestyle Solutions, we recognise that sometimes traditional service models don’t match the needs of service users, and we’re open to sitting with individuals and their family members to design more relevant support. Our flexibility and innovative delivery of support is what I believe makes us a lead agency in the sector. Our services are very diverse and whether in Disability Support, Child and Family Services, Education or Social Enterprises, every member of our staff is motivated and passionate about partnering with people, embracing their dreams, sharing their vision and respecting their culture. Balancing the needs of the people we support within the resources available to the organisation and the sector. I think we all realise that there will always be unmet needs within our community at a number of levels. Community organisations like Lifestyle Solutions need to be creative and flexible in order to support people in finding sustainable options to meet their needs and be able to live good lives. My vision for Lifestyle Solutions is driven by my belief that each of us should have an active role in community life and be involved in giving some part of ourselves back to others. Supporting people to find their place in the community and receive appropriate support to have a “good life” helps me better understand myself and allows me to use my skills in a meaningful and empowering way. I am inspired by seeing the people we support grow in independence and achieve things they never thought possible. Providing unobtrusive, appropriate support to individuals and their families allows this growth to happen and encourages us all. I look forward to the NDIS becoming a reality and redefining the way the sector provides support to people in the community.